Hire the Balloon burst game it is great fun for ‘clowning’ around at parties, the aim of the game is simple, and you and your challenger stand with a push / pull handle inflator. The aim is to pump furiously to inflate your balloon attached to the next unit, the quicker you pump, the quicker your balloon inflates, when it is full size it hits the pins in the metal surround and pops. The first player to pop their balloon is the winner. Balloon burst game hire is great fun for children and adults, and as part of a fun day or at an exhibition? We are one of Londons most established entertainment agencies with many years of experience providing fun games and entertainers to a wide range of clients. The balloon burst game is great fun and very entertaining, watching and waiting for the balloon to burst. We cover the whole of the UK and offer a wide range of fun games. We have the balloon burst game for hire, this is a balloon popping game – great games for fun days. The fun balloon game is balloon burst racing at its best. With the balloon burst race or boom blaster as it is also called the children will have great fun. We hire boom blaster games for fun days and team building events. The boom blaster hire is really the balloon blaster game, first one to pop the balloon wins. With the balloon blaster game and balloon blaster hire you get a visual game and also the popping noise of the balloon bursting game. The balloon bursting game for hire will definitely prove an attraction at your next event. 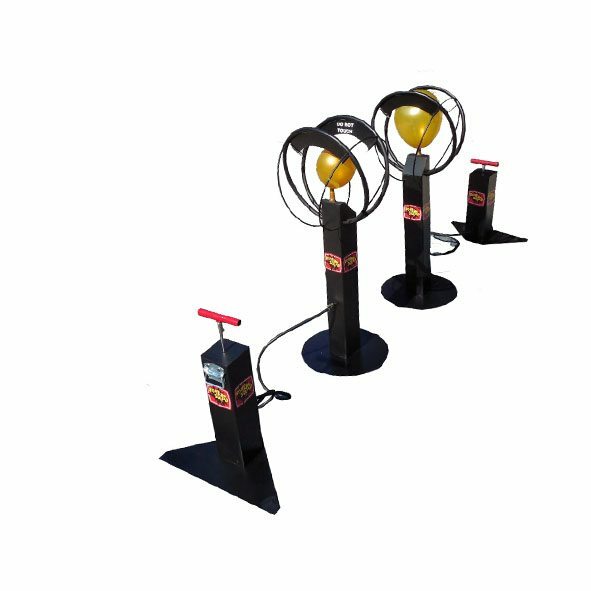 The balloon burst game hire is suitable for indoors or outdoors and can be set up very quickly. The balloon burst game is great fun for all, you can use it for team building events, at exhibitions or at parties, where it is purely a race to burst your balloon. We also hire the fun inflatable games. The games we have are great fun and we can hire balloon burst games on their own or we can create the whole fun day package for you. As one of Londons longest suppliers of entertainment we have the experience to create the perfect package for your event. Balloon Burst Game Hire is great fun for all ages.